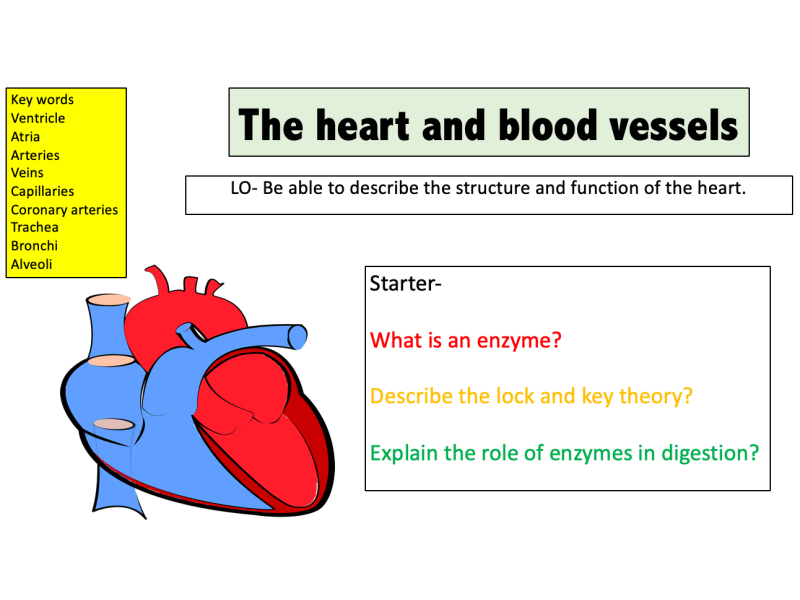 Check out my other resources at: www.tes.com/teaching-resources/shop/mr_science Designed for the new specification AQA GCSE course (covers spec point 4.1.1.3) but can be modified for other exam boards. 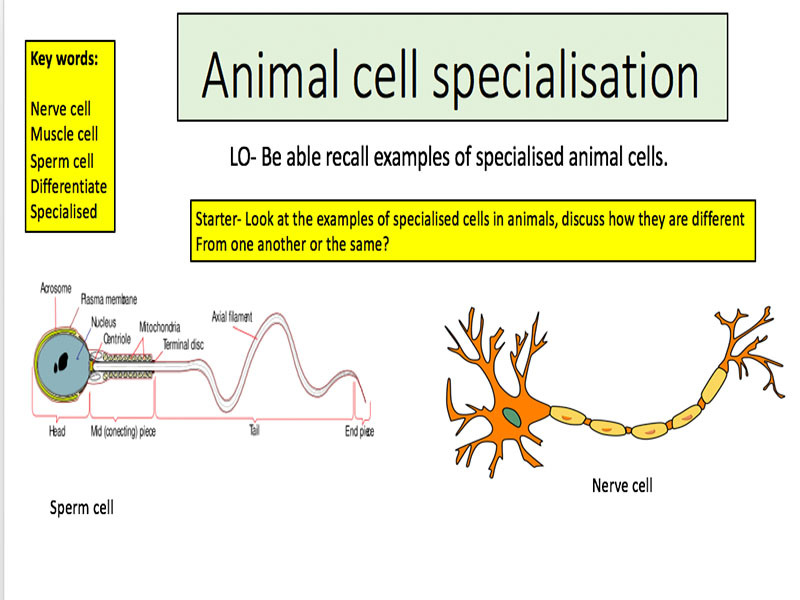 10 slides covering Animal cell specialisation . By the end of the powerpoint students would have covered: -Explain how cells become specialised through differentiation. -Why are animal cells specialised -Be able to link structure to function of different animal cells. 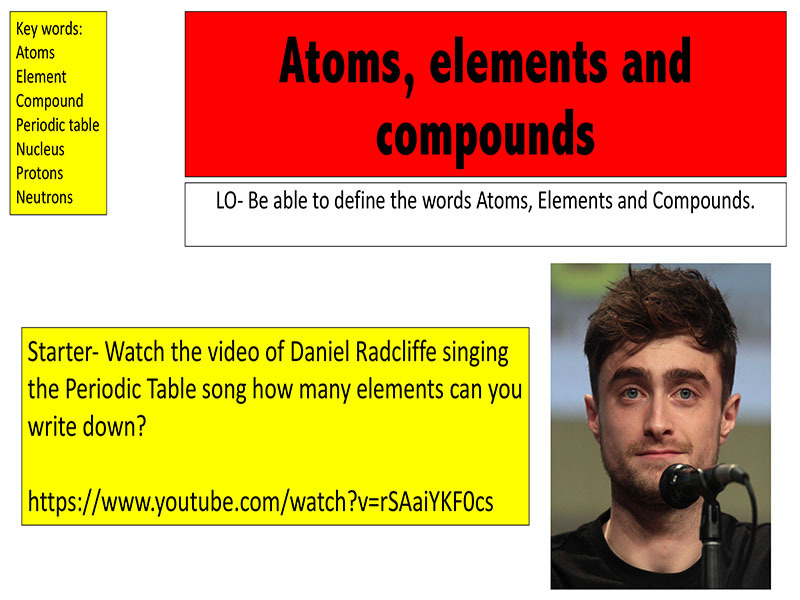 Check out my other resources at: www.tes.com/teaching-resources/shop/mr_science Designed for the new specification AQA GCSE( covers spec point 4.5.3.1) course but can be modified for other exam boards. 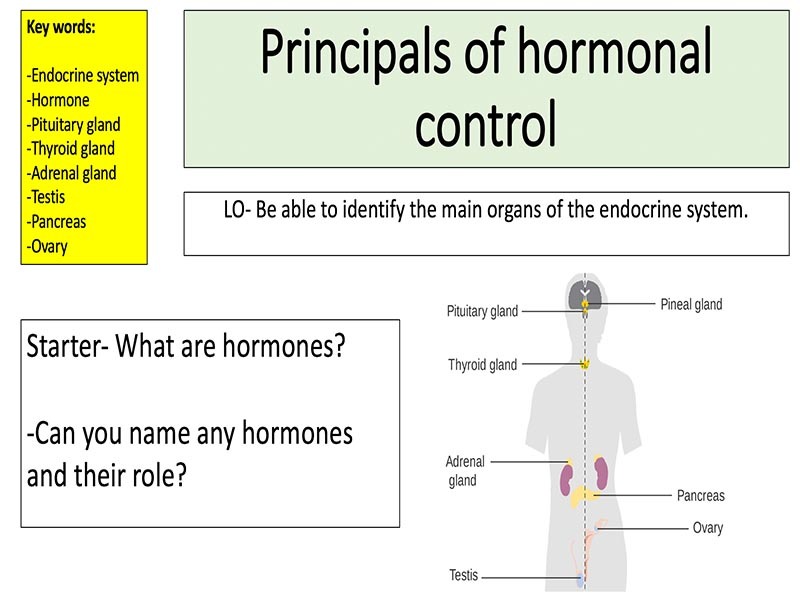 9 slides covering Principals of hormonal control: -Identify the main glands in the body and describe their function. -Explain why the pituitary gland is known as a ‘master gland’ -Compare and contrast nervous and hormonal action. 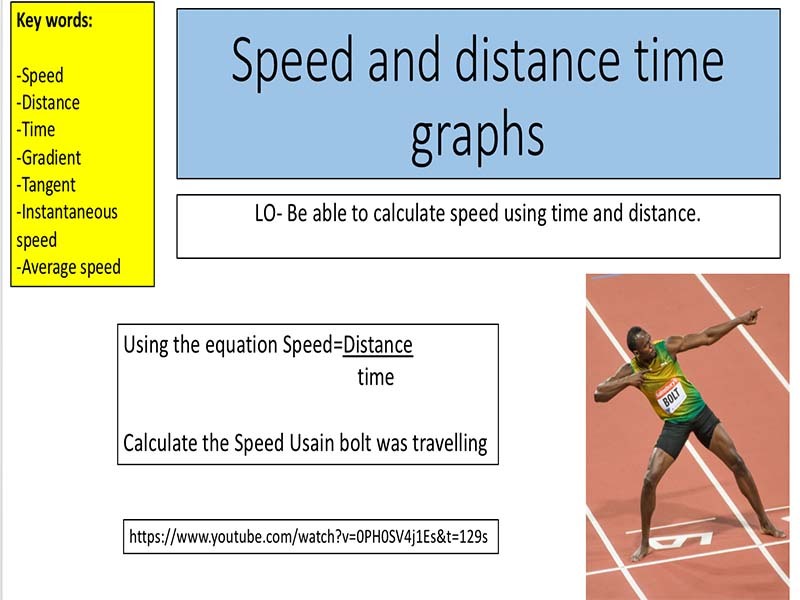 Check out my other resources at: www.tes.com/teaching-resources/shop/mr_science Designed for the new specification AQA GCSE( covers spec point 4.5.3.2 ) course but can be modified for other exam boards. 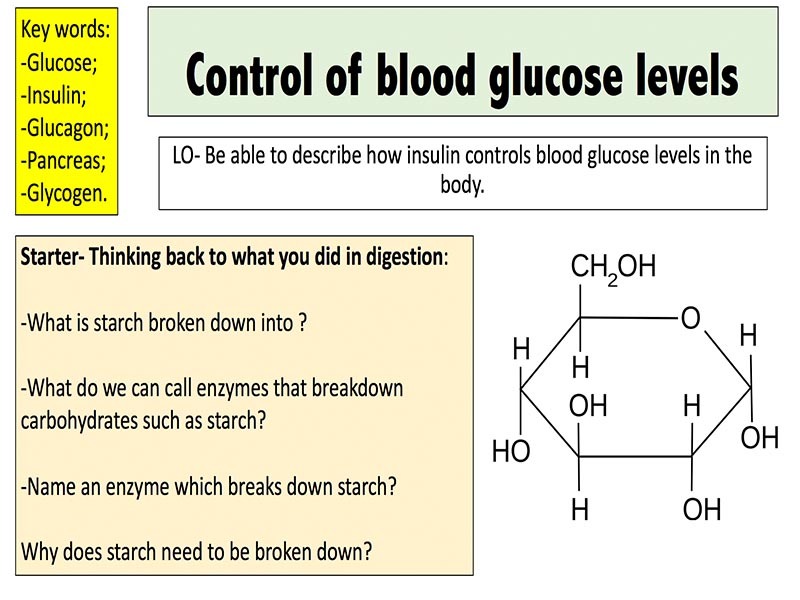 19 slides covering Control of blood glucose levels: Describe how Blood glucose concentration is monitored and controlled by the pancreas; Explain the difference between Type 1 and Type 2 diabetes; Extract information and interpret data from graphs that show the effect of insulin in blood glucose levels. 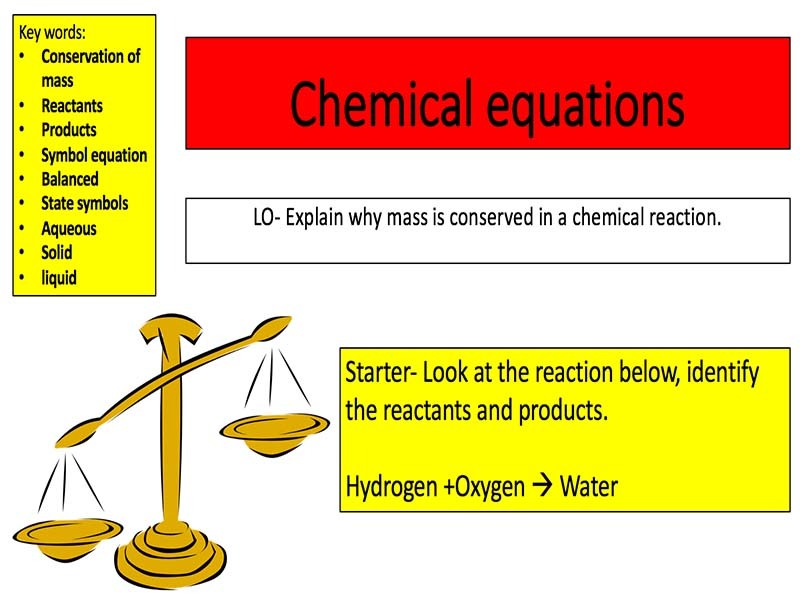 Check out my other resources at: www.tes.com/teaching-resources/shop/mr_science Designed for the new specification AQA GCSE( covers spec point 4.5.1 ) course but can be modified for other exam boards. 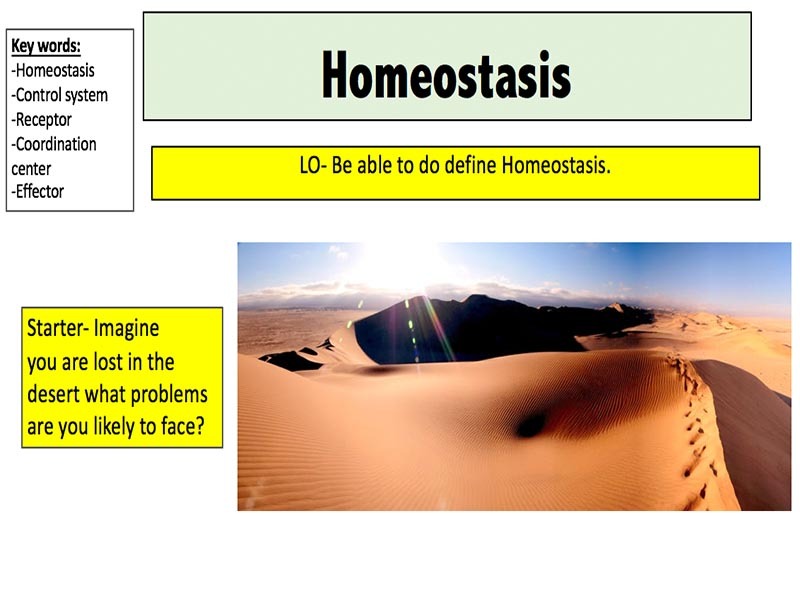 11 slides covering Homeostasis. 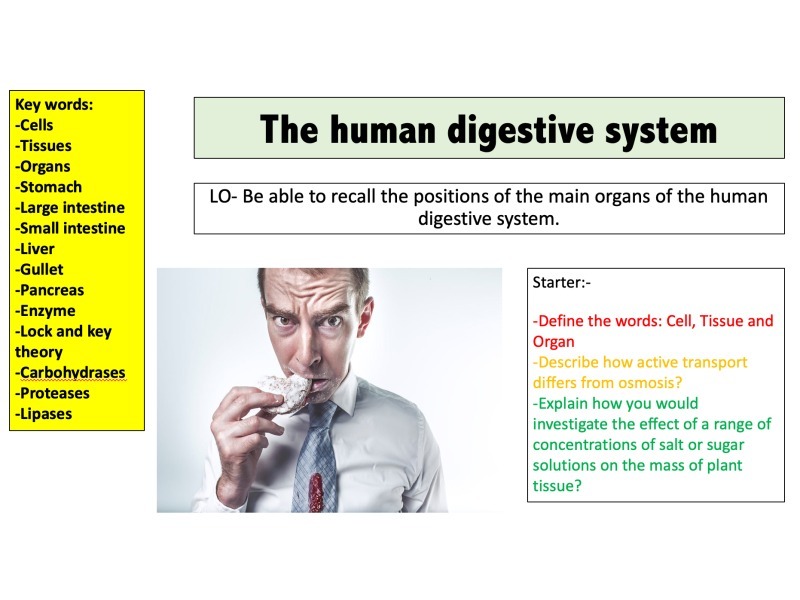 By the end of the powerpoint students would have covered: -Define homeostasis; -Recall conditions in the body that need to be controlled; -Describe the features of a control system. 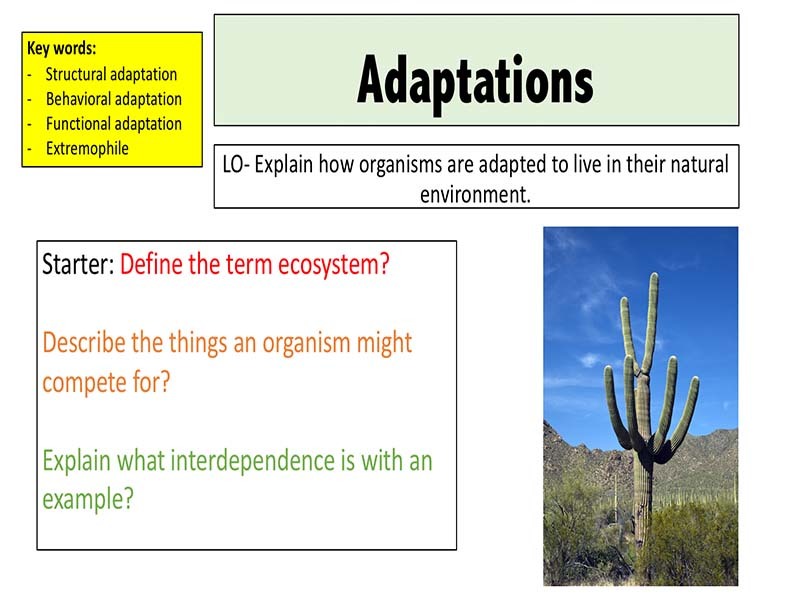 Check out my other resources at: www.tes.com/teaching-resources/shop/mr_science Designed for the new specification AQA GCSE( covers spec point 4.5.2.1 ) course but can be modified for other exam boards. 14 slides covering The human nervous system. 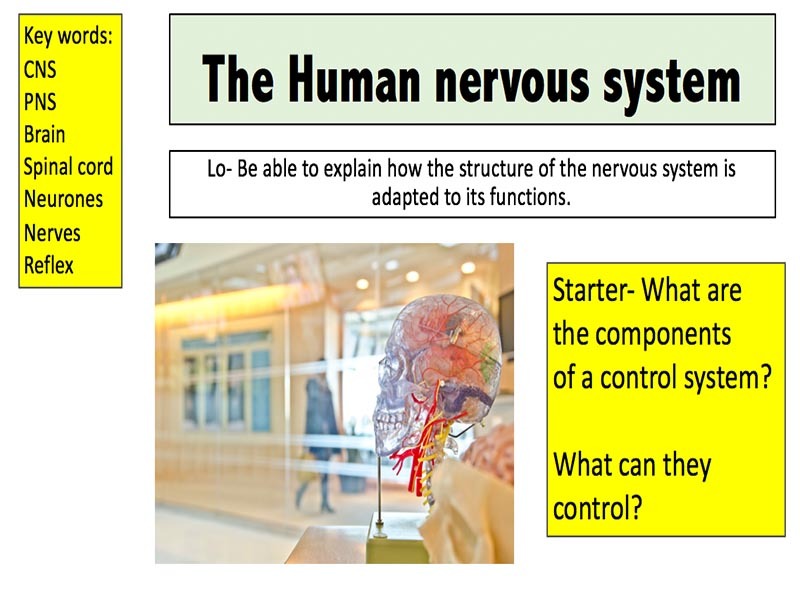 By the end of the powerpoint students would have covered: -State the structure of the nervous system -Explain how the nervous system is adapted to carry out its function -Describe the steps in a reflex -Plan and carry out an investigation into the effect of a factor on human reaction time. 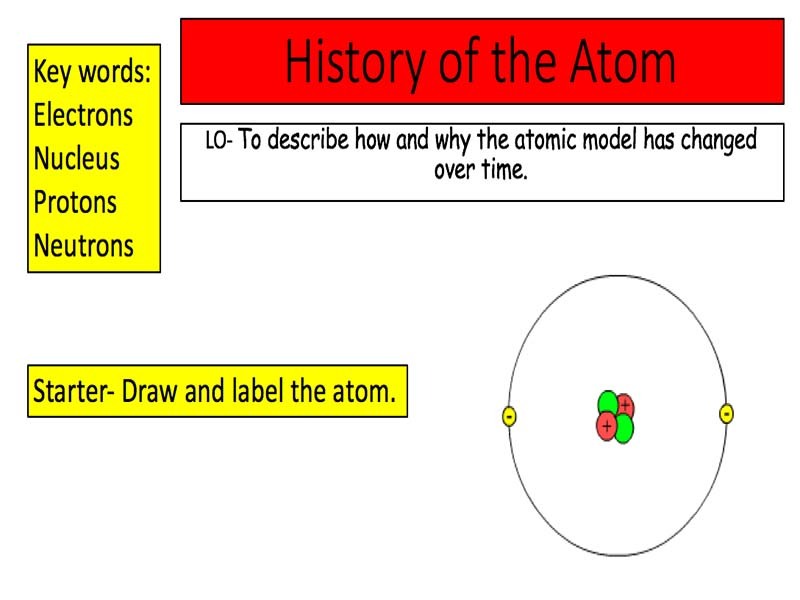 Check out my other resources at: www.tes.com/teaching-resources/shop/mr_science Designed for the new specification AQA GCSE( covers spec point 4.3.1.9) course but can be modified for other exam boards. 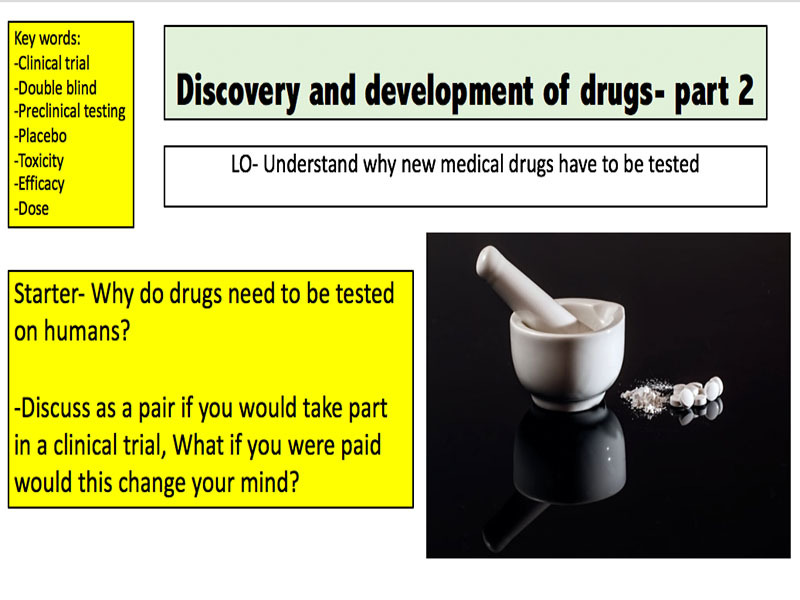 10 slides covering Discovery and development of drugs. By the end of the powerpoint students would have covered: -Outline the procedures used to trial a new drug in the correct order. -Describe how a double blind trial is carried out. -Explain why a placebo is used during drug trialing. 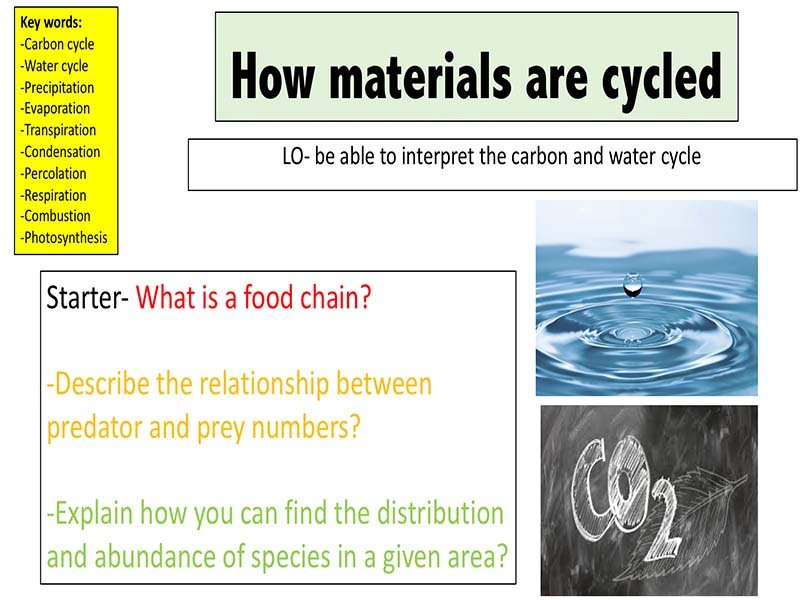 Check out my other resources at: www.tes.com/teaching-resources/shop/mr_science Designed for the new specification AQA GCSE( covers spec point 4.4.2.3) course but can be modified for other exam boards. 11 slides covering Metabolism. 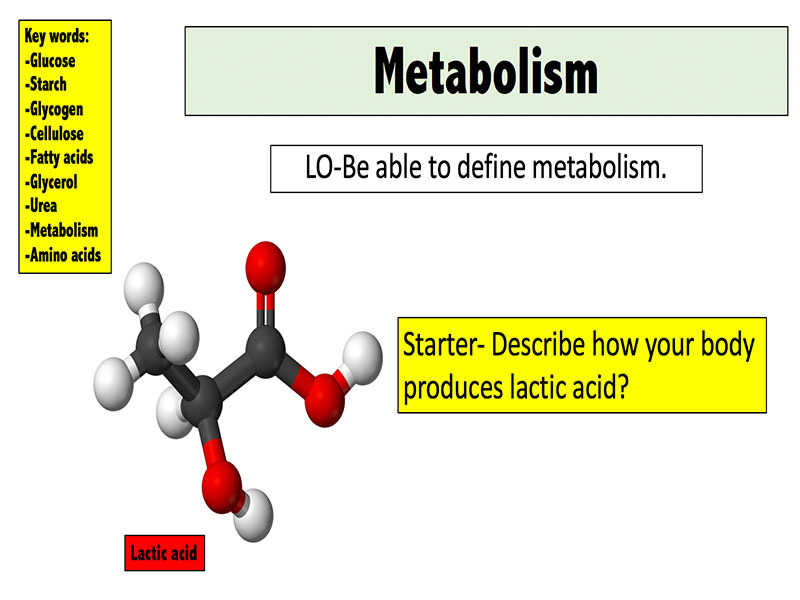 By the end of the powerpoint students would have covered: -Define metabolism. -Give examples of metabolic reactions. Check out my other resources at: www.tes.com/teaching-resources/shop/mr_science Designed for the new specification AQA GCSE( covers spec point 4.4.1.2 ) course but can be modified for other exam boards. 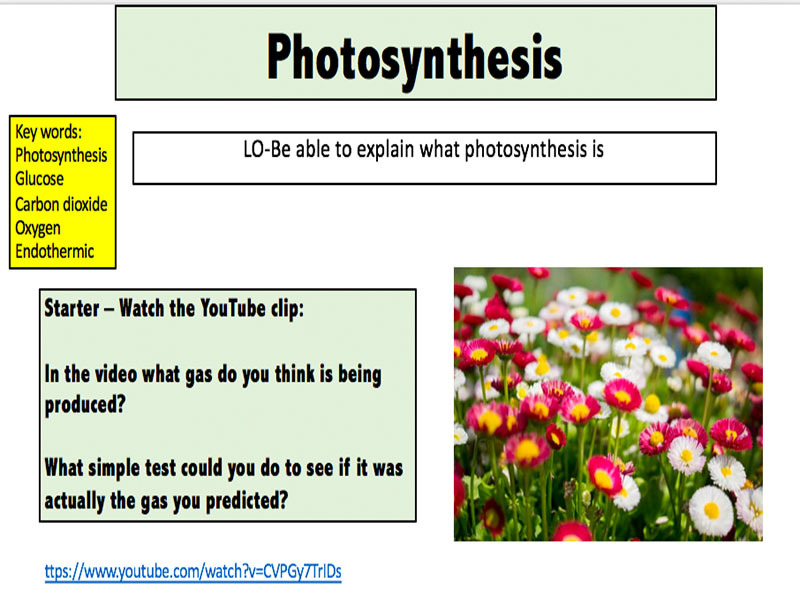 12 slides covering Rate of photosynthesis . 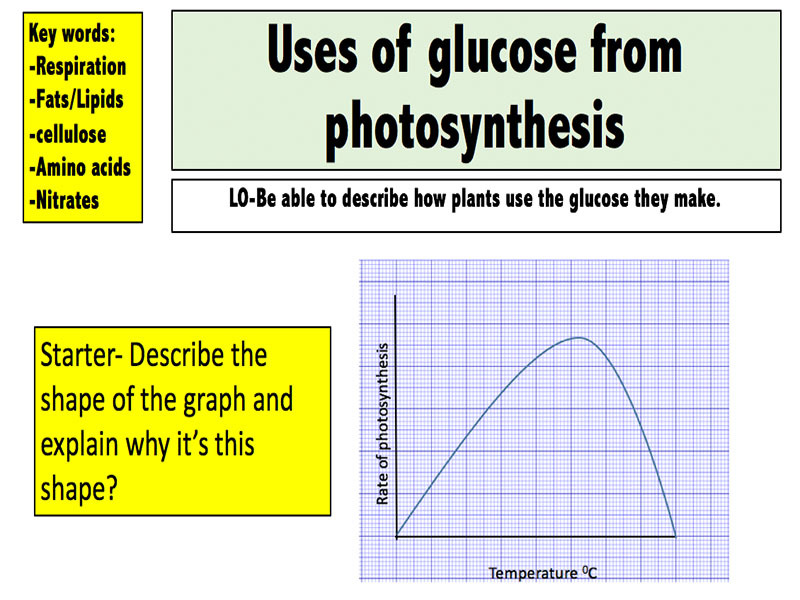 By the end of the powerpoint students would have covered: -Be able to calculate and measure the rate of photosynthesis; -Interpret and draw graphs showing the impact of Carbon dioxide, light and temperature on the rate of photosynthesis; -Explain limiting factors in photosynthesis; -Understand and use inverse square law in the context of photosynthesis. 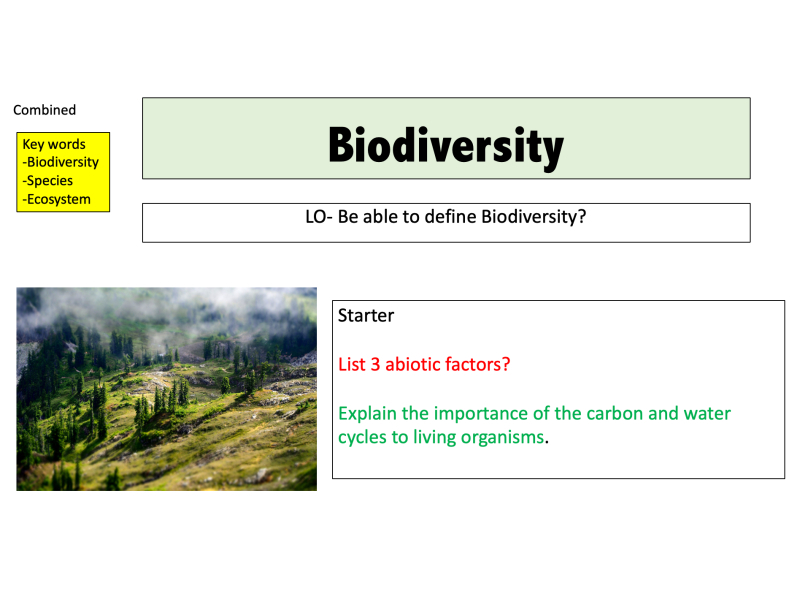 Check out my other resources at: www.tes.com/teaching-resources/shop/mr_science Designed for the new specification AQA GCSE( covers spec point 4.4.1.1) course but can be modified for other exam boards. 9 slides covering Photosynthesis . 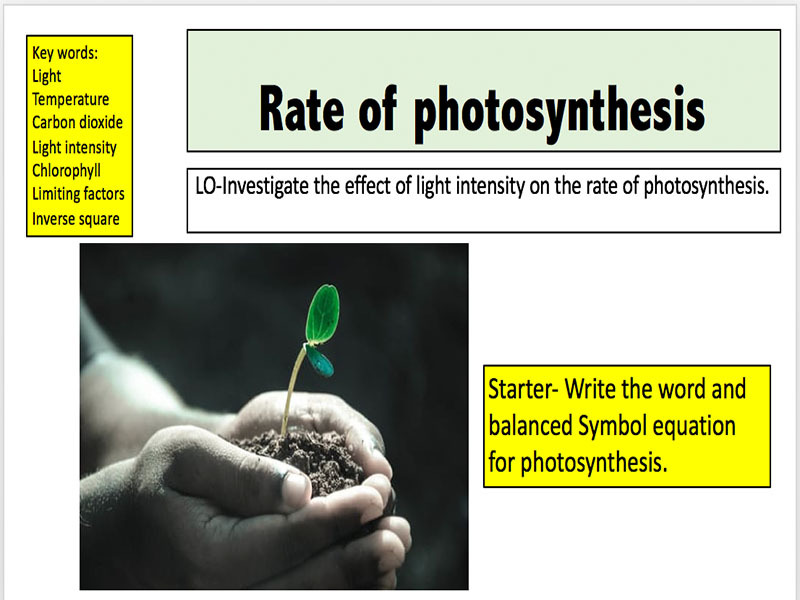 By the end of the powerpoint students would have covered: -Write down the word and symbol equation for photosynthesis -Be able to describe photosynthesis as an endothermic reaction -Describe how a leaf is adapted for photosynthesis.